If you are planning to adopt a new pet, consider having a unique one. Dogs, cats and fish are way too common and these days many people prefer unconventional animals as their pets. Some of these might require a bit of special care but you will always end up cuddling them, playing with them and sharing a wonderful bond with these cute ones. Check out the list of 10 uncommon cute pets that you can adopt. These friendly and docile creatures make adorable pets. Hedgehogs are pretty low maintenance and you don’t need to pay a lot of attention as they sleep a lot. The super cute animal is very playful and absolutely loves to be cuddled. These pocket-sized marsupials are very social and undeniably cute. They are hyperactive and inquisitive but are also quite delicate and need some special care. And don’t forget to keep them in a roomy cage as they cannot be toilet trained. Playing with these cute nocturnal in the evenings is fun. 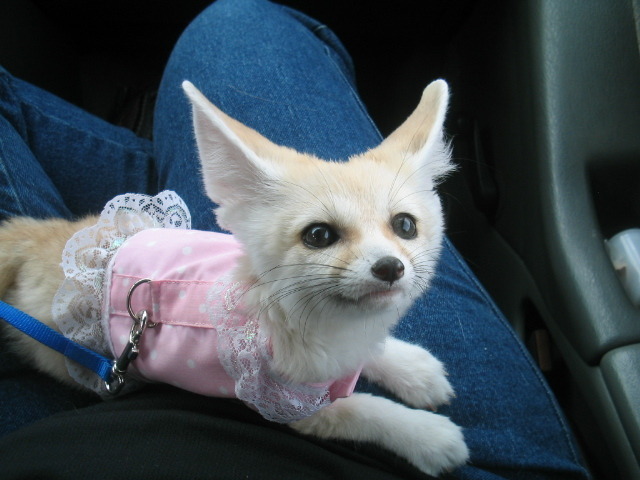 Although foxes are not much preferred as pets but Fennec Fox is an excellent one. These small and smart desert creatures are very playful and do not pose any threat to public safety. They can be even house-trained to use a litter box. Having a sloth is like having a little bundle of cuteness. 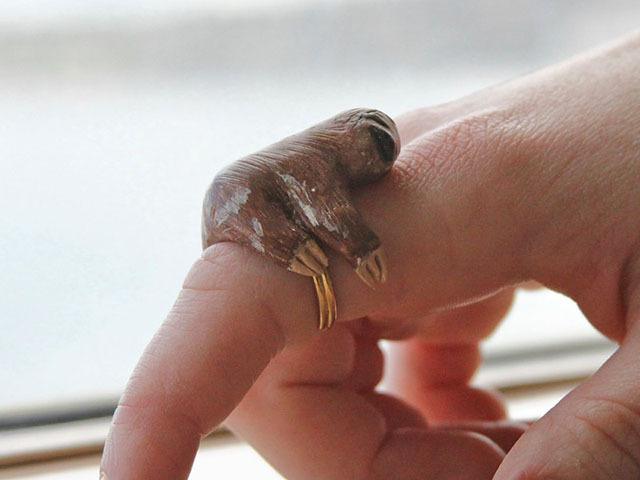 Sloths are extremely adorable and affectionate. You don’t even need to chase them down as they are very calm and slow moving creatures. They eat special diets and can live up to 30 years. Chinchillas are one of the most popular exotic pets. These swift and perky creatures make great pets as they are pretty lively and inquisitive in nature and require low maintenance. The small and fragile creatures have beautiful soft lush fur that adds to their cuteness. Potbellied Pigs are very affectionate and ‘special’ animals. If you understand their personalities well you can form a great bond with them. They are very smart and trainable and love to snuggle with their owners. 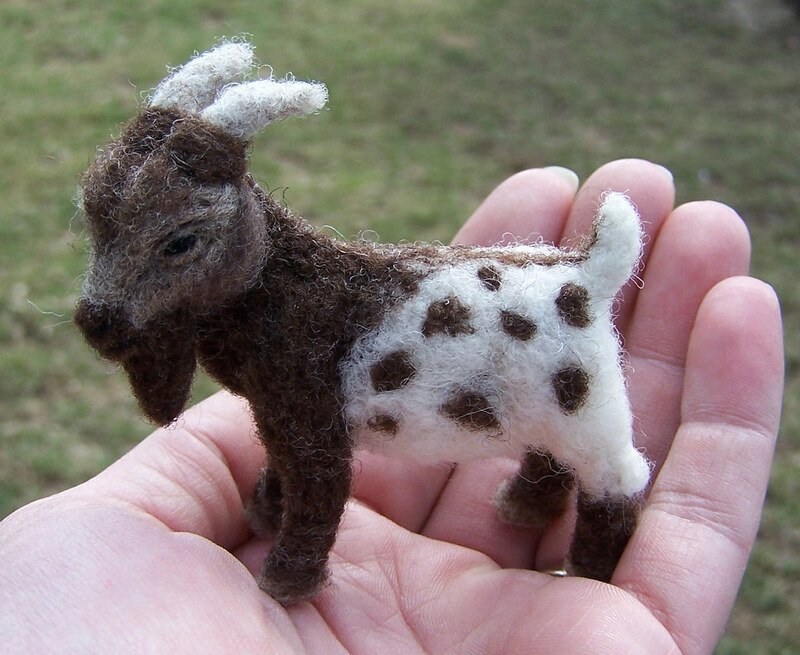 Responsive and gentle, Pygmy Goats are adored for their lovable and mischievous nature. These are herd animals so need the company of their own kind. Having a bunch of pigmies is absolute fun as they can offer you a heartwarming company. 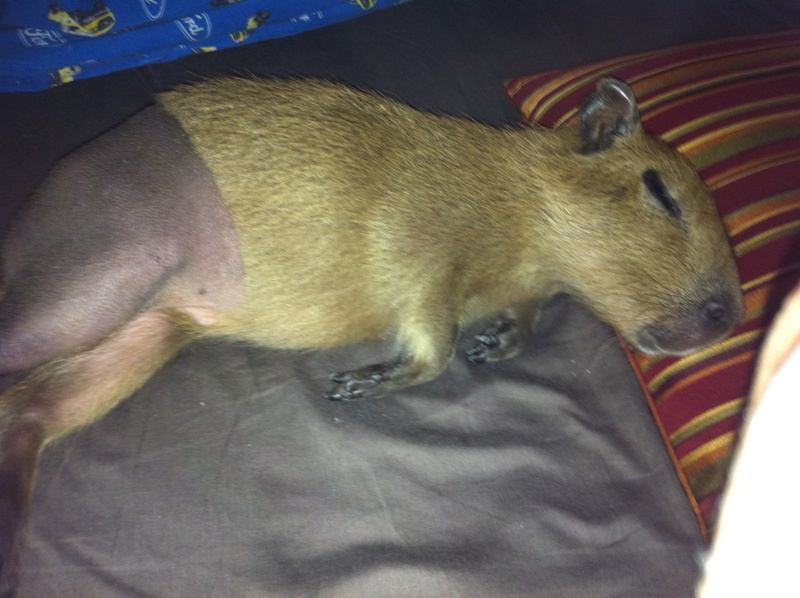 Capybaras are excellent as pets and are increasingly gaining popularity too. These intelligent, cute and affectionate animals are also known to be the world’s largest rodents. However, they are high maintenance animals that require a lot of space along with a pool or pond. Also don’t forget to check out the exotic pet legislation of your area as they are not legal to own everywhere. Wallaby can be a wonderful pet that returns human affection in an astounding way. These cuddly cute animals will follow you all around the house. However, they must have plenty of space to run and hide whenever they wish. They also get along well with other non aggressive pets. 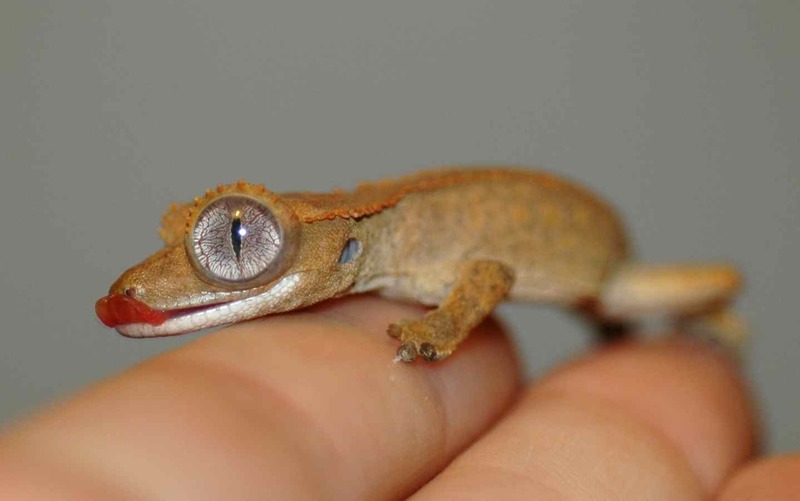 If you love reptiles, Geckos could be an ideal choice for you. Depending on the species, these creatures exhibit a variety of beautiful patterns. These cute reptiles are easy to train as well as care for. However, be careful not to grab them by the tail as they often drop their tales as a natural defense. These pets are fine combinations of adorable and unique. Which one would you love to have?